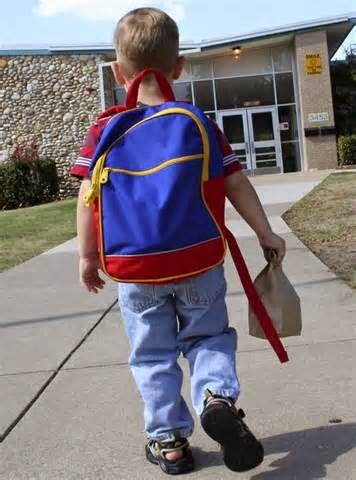 You could be relocating to a new city or residential area, or there may be academic reasons or economic reasons that have created this compulsion for your child to have to change schools. For a child, this can be a very significant, even traumatic event; a fact that adults may not be able to comprehend fully. Sit your child down and talk to them. Really talk to them and explain the necessity for the move. There could be a change in economic circumstances, professional compulsions or exigencies of a relationship that require this change. Decide beforehand how much you want to reveal and how much your child will be able to grasp for his or her age and level of maturity. It can help to familiarize your child with the new school campus. Let him or her see the school facilities, the play grounds, gym and so on. Seeing a classroom or two will also help your child become familiar with what will be their new environment. Explain how this school is different but perhaps better than the old one. Explain to your child that it is a great opportunity for them to make new friends and get to know a new place. If the school has any additional facilities, apart from those in their old school, be sure to mention them. However, be careful not to go overboard or give incorrect information – you don’t want your child to be disappointed later. It can be a good idea to find out about a few kids who are likely to be in your child’s class or even school bus, and introduce your child to them beforehand. Arrange for your child to spend some time with them and to get to know them. Consider getting in touch with the person who is going to be your child’s class teacher. Introduce your child to them and brief them a little bit about your child, any allergies or special needs, as well as a little bit about your circumstances. This way, your child doesn’t have to face a set of completely new people, which he or she may perceive as hostile. Going shopping together for all the back to school items, like new books, stationery and clothes, could put your child in a more cheerful frame of mind. It’s a great way to enliven the situation and set them in a good mood overall. When your child seems despondent, find out why this is so. If they express apprehensions or worries, don’t dismiss these out of hand. Listen to what your child is saying – the words and the intent; also pay attention to their body language and facial expressions as they talk. Be reassuring and allay your child’s fears but also be honest with them. Make sure that your child knows that you’re always there for them, no matter what! So here’s wishing you and your bundles of joy a painless and comfortable relocation to a new school, perhaps a new neighborhood and other changes! And did you know, you can save up to 80% on your ink and toner to help you spend less on your back to school shopping? Know about these great offers and more by subscribing to our mailing list, and liking us on Facebook.